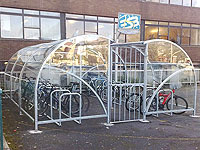 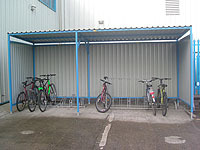 Encourage your staff and colleagues to cycle to work, by installing a Bicycle Shelter. 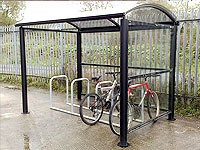 Provides secure weather protection for Bicycles and Motorbikes. 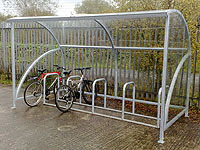 Wide range of designs to suit all budgets. 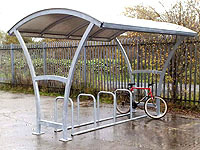 Modular designs easily extended. 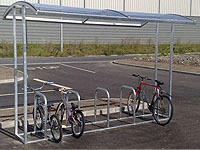 Can be installed on tarmac. 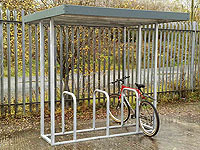 or concrete.